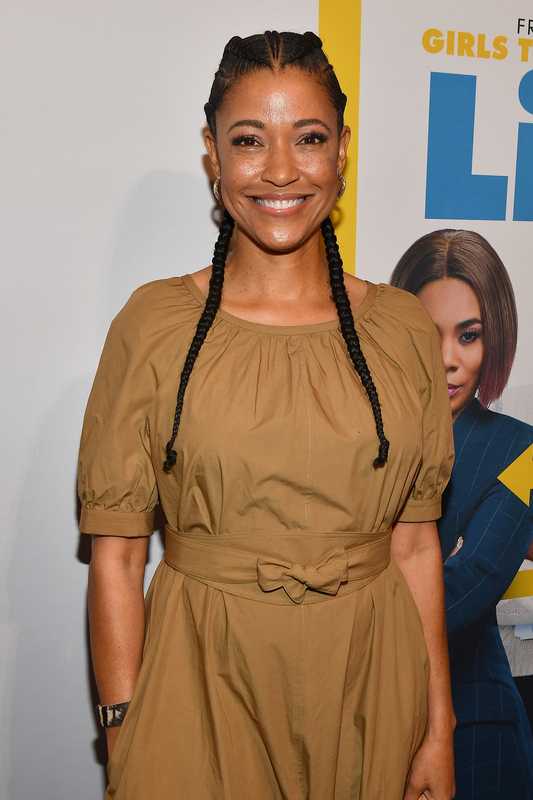 The Little Movie is debuting in theaters soon and I wanted to share my review and snaps from the Atlanta exclusive “blue carpet“. You all know I love my carpet snaps, but due to a family emergency I couldn’t physically be there but plenty of snaps provided by Universal Studios/Paras Griffin to share for the recap. 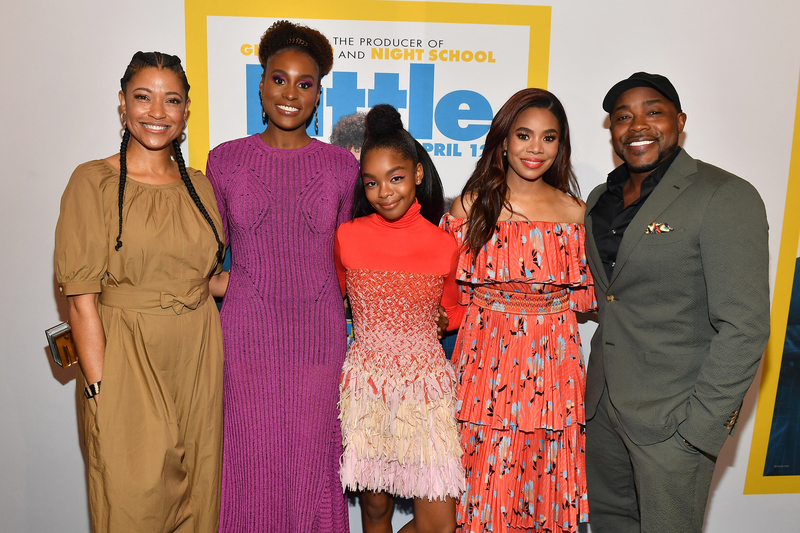 Little film stars Regina Hall, Issa Rae and Marsai Martin as well as Producer Will Packer and Director Tina Gordon, hit the blue carpet for a star-studded premiere at Regal Atlantic Station in midtown Atlanta. 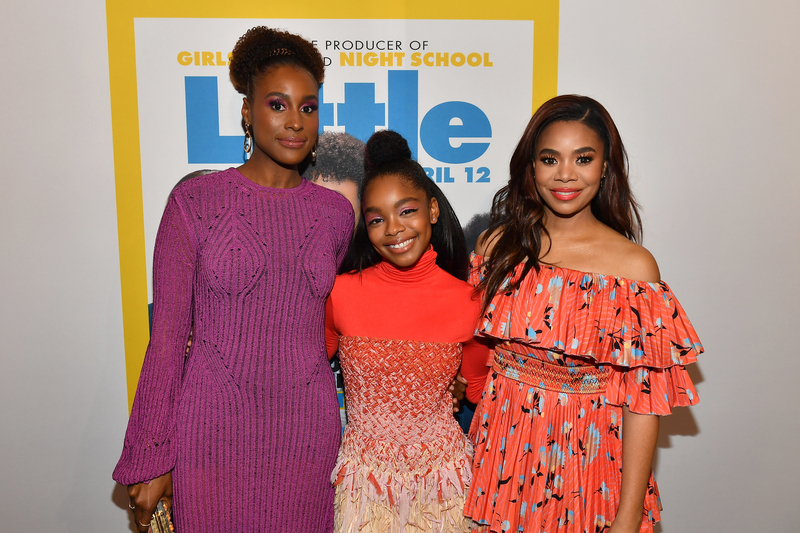 Marsai Martin is making big moves not only on the small screen but now on the big screen. 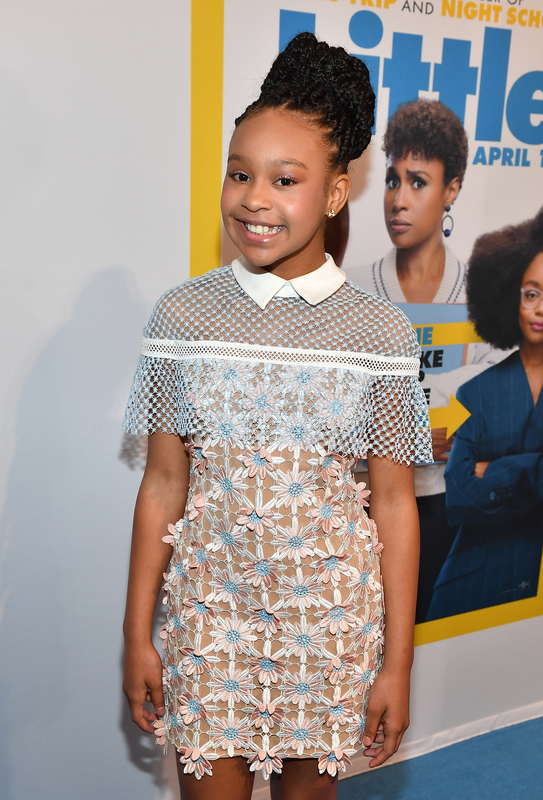 The 14-year old Black-ish actress is making history by becoming the youngest person to ever executive produce a film. Martin is set to star in and is one of the producers of Little, a remake of the Tom Hanks film Big. Isn’t that amazing? At 14 years old she comes up with a movie concept and stars and brings it to life! I am so proud of her! Also her dress is amazing and so fitting for her! The blue carpet screening was a huge success with many of Atlanta’s biggest stars in entertainment, film and music excited to see LITTLE. 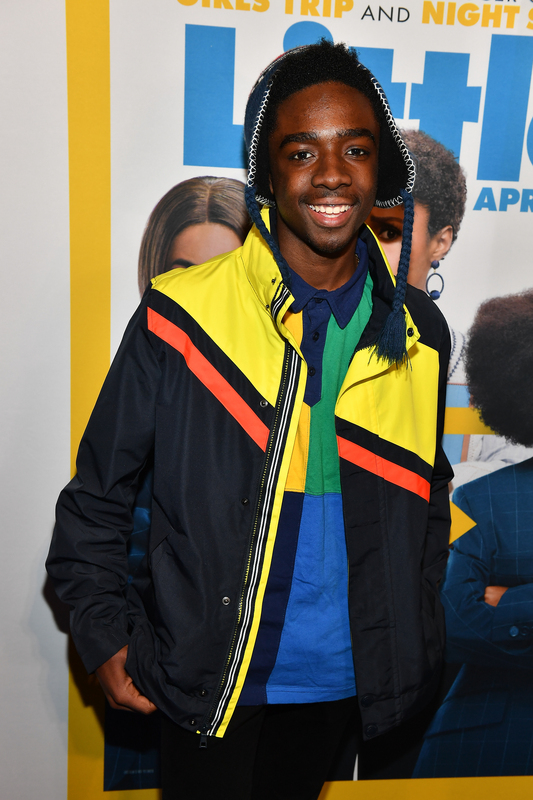 Check out more “blue carpet” snaps from the Atlanta premiere and screening below! 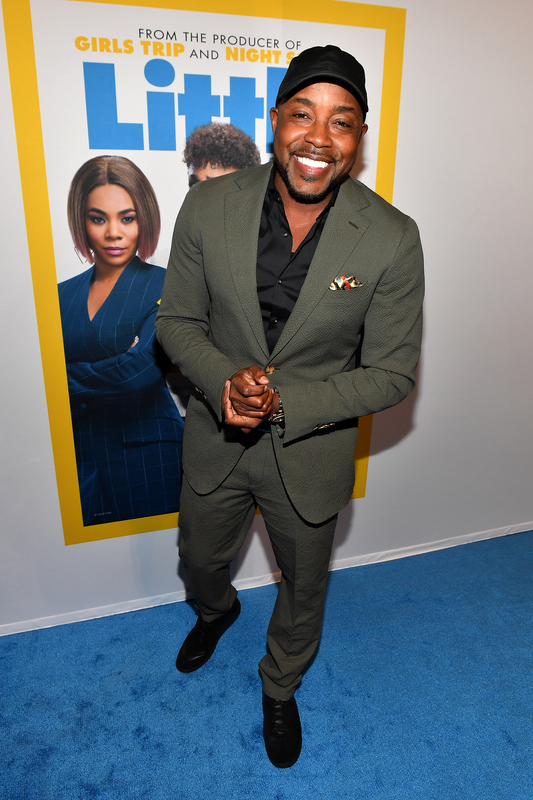 I always appreciate Will Packer not only producing many of his movies in the heart of Atlanta, but he always does amazing film carpets here. He makes sure Atlanta get the Hollywood treatment with any movie he is apart of! Will Packard you are amazing and thank you for always showing love to the city! You have bought a lot of films to Atlanta with blockbuster hits! I am so sad I missed him. 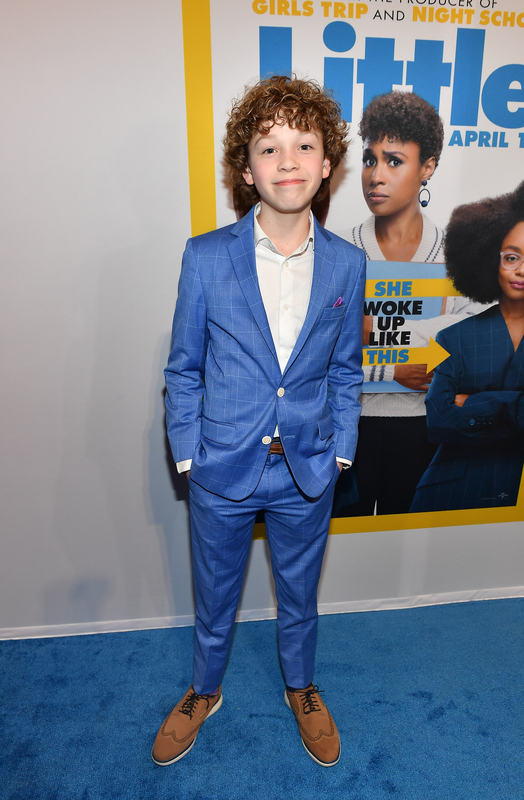 I am a big fan of Caleb McLaughin who plays Lucas on “Stranger Things”. Did you know they filmed the last season of ST4 in Atlanta? So nice to see another young actor support this film! 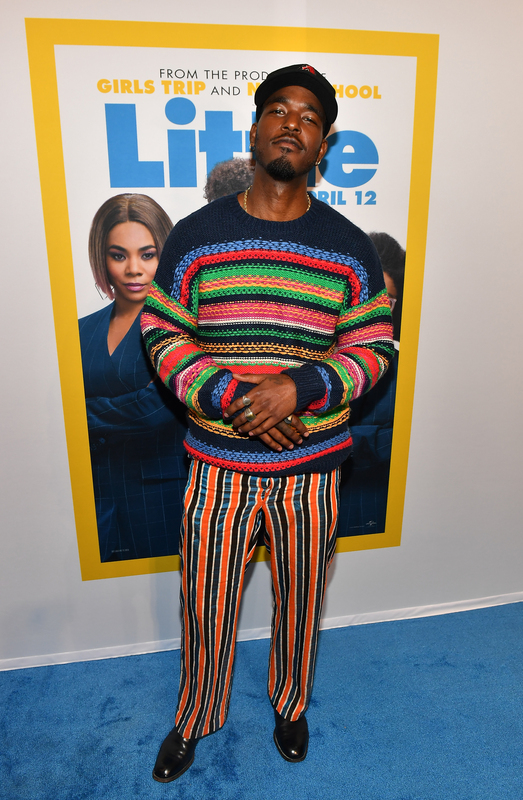 Luke James co-stars in Little. He has a funny role I didnt expect from him but he was so cute doing it! Upcoming child actress Kai Ture, also co-stars in the film. He breakout role is pretty pivot to this film story! I love her dress adorable! Tucker Meek and Thalia Tran are also “little” co-stars in the Little Movie. Marsai is definitely a little Issa Rae in the making to me! 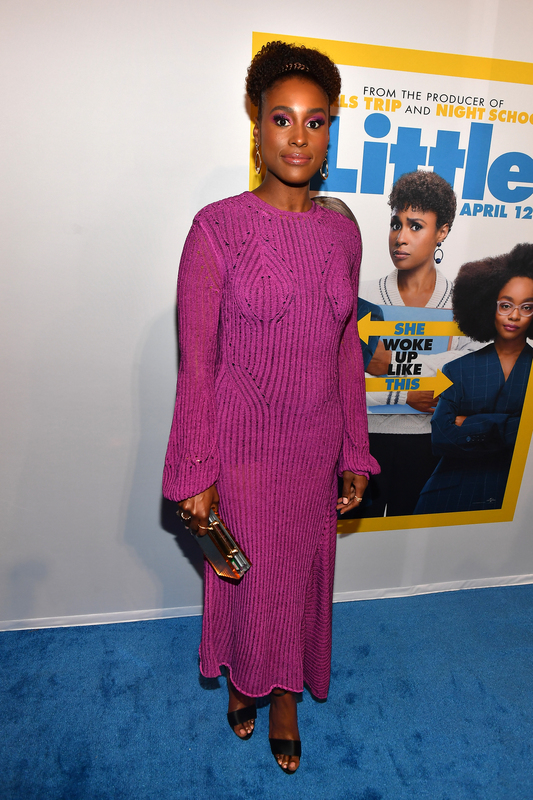 Issa Rae didnt just start off on HBO’s Insecure, she was the star and creator of online hit series “Akward Black Girl” where she wrote, produced and stared in her own show. Marsai already has a headstart in her teens as being the youngest executive producers ever and hopefully it opens doors for other kids to dream Big (pun intended) and write and star in their own productions too! 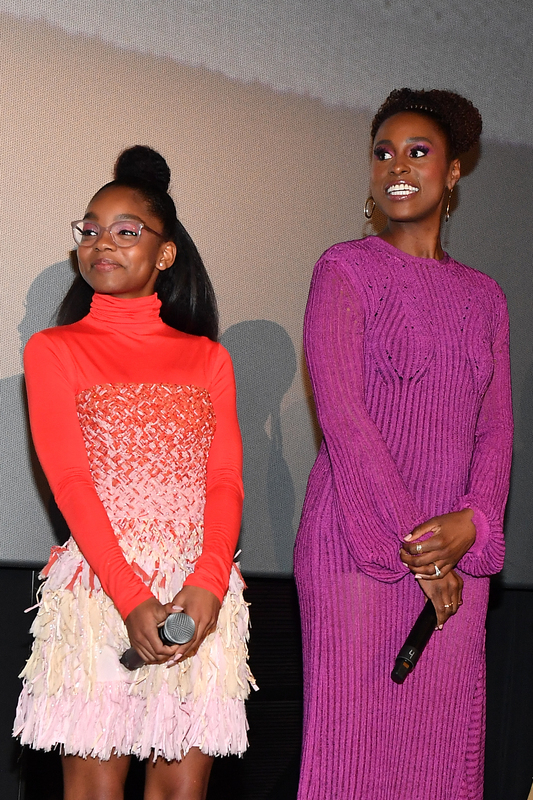 I am so proud of her and can’t wait to see what the future hold’s for Marsai Martin. I think this movie is definitely a film for both adults and children. I also grew up watching Tom Hanks “Big” so to see Marsai’s rendition of it was amazing. 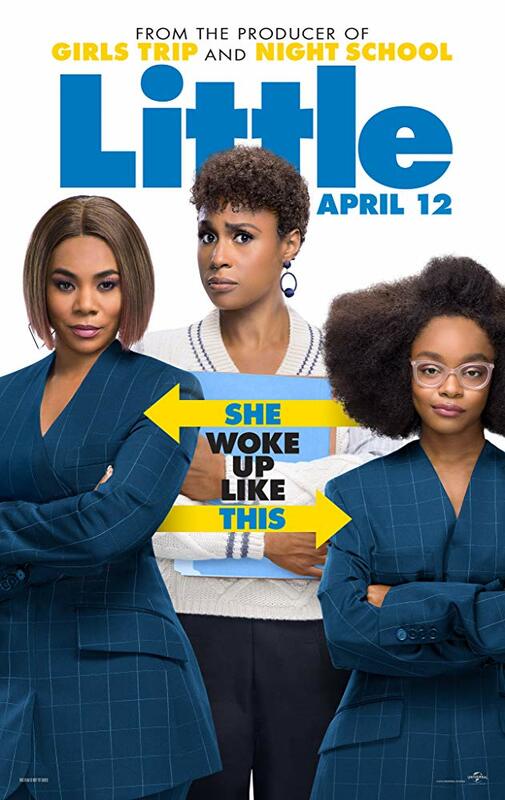 I am loving the trend of taking a film and not remaking it, but flipping it and reinventing it for a new perspective similar to this year’s hit movie What Men Want (2019) remade interpretation of What Women Want (2000). I also love how this movie is centered around a personification of Black Girl Magic. Black Girl Magic has been a buzz-term for African American women and girls for the last couple of years to show uniqueness, high-self esteem and overall extraordinary energy. I alsoI will say I am also enjoying seeing young black children be the star of movies, especially young black girls. Last year we had Storm Reid (Wrinkle In Time), play a leading role in a big picture movie, but prior to her we haven’t seen that in a while. I grew up, Crookyln and Eve’s Bayou were my only films where I could see myself and age range on the big screen. So it’s beautiful to see Marsai star in this film as not just someone’s child but the actual main character of the movie. 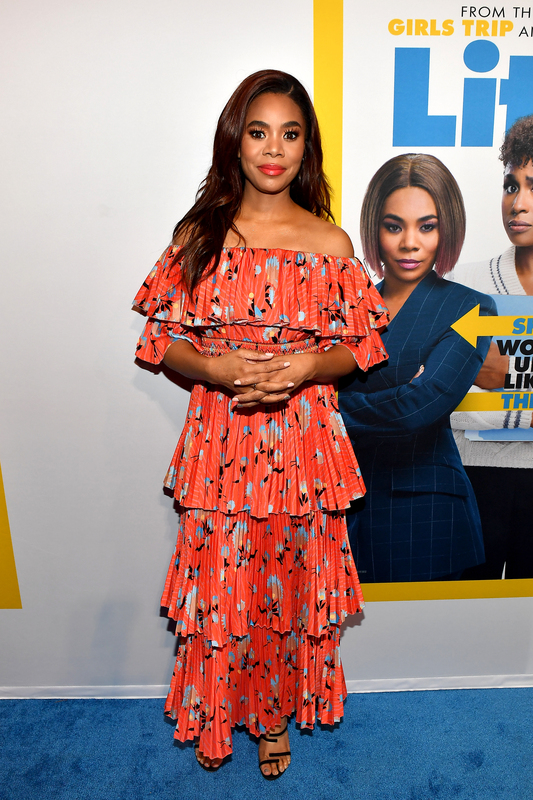 Regina Hall as Jordan Sanders in “Little,” co-written and directed by Tina Gordon. The movie itself is pretty interesting. 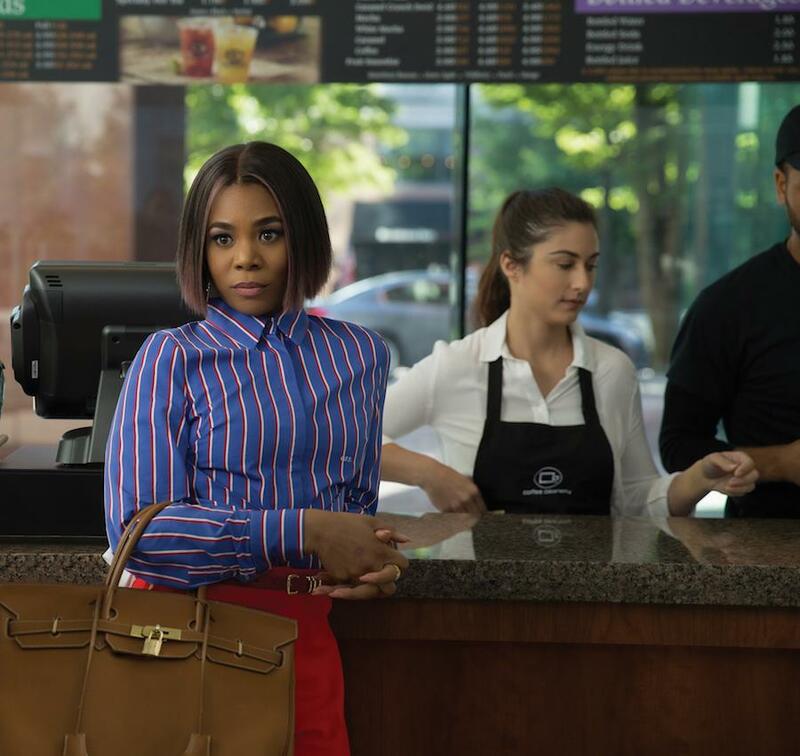 The movie starts off similar to movies we have seen before, Jordan (Regina Hall) who is independent, rich and is in charge of her life and personality is hostile and intolerable to everyone around her. 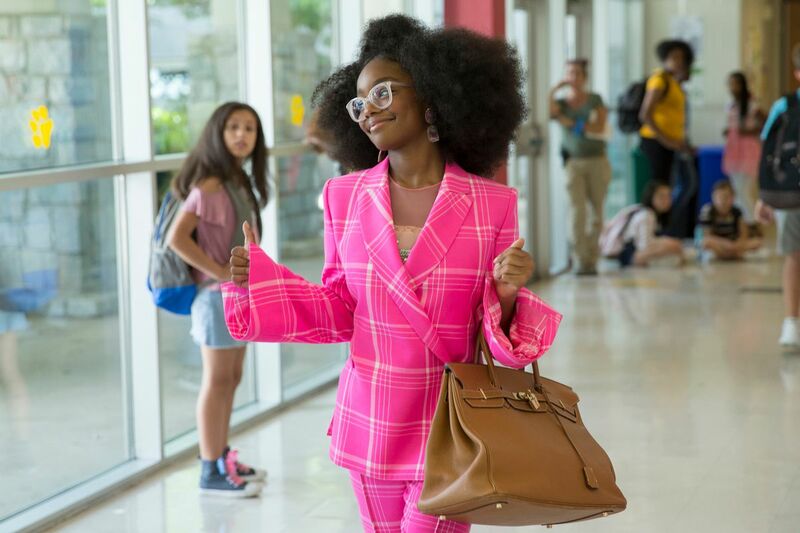 Then things take a twist as she wakes up one day as her 13 year old self (Marsai Martin)! Jordan has an assistant (Issa Rae) who finds Jordan in this internal Freaky Friday-ish dilemma with herself trap in a middler schoolers body. I want to say Marsai Martin (Jordan) did so well in this film. She played this part so well, and mature but not over the top where it wasn’t believable or out of line. I will say that this movie is one of the first ones I have seen where I believe you can take your kids and adults will find something to watch and enjoy it. I also feel like the young teen demographic is an age where in films they get left out – meaning movies are either targeted for children 12 and younger with the animated films or its instantly an adult film. The pre-teens and teen I think are getting left out in the big screens so this is refreshing to see a movie like this for them to enjoy! Since this is a film made with a young teenager in mind and forefront, it definitely stays PG-13. I would highly recommend making this a mother and daughter, Auntie-niece, or Girls Night Out with some pre-teens and teens! If you could wake up and be your middle-school self what would you do differently? I can’t wait to see this movie! Again I’m so proud and inspired by everything you’re doing. This is going to be such a great movie! I’m really excited to see it. That must have been such a fun time. That is such an amazing undertaking: to produce AND star in a movie at such a young age. I love this spin on a classic movie! I love that it’s great for the whole family! Middle school for me seems so far away, that I can’t remember a whole lot. Maybe I would have studied harder instead of playing. This movie sounds like a fun one to see with my daughter. It’s really cool that the film scene in Atlanta is taking off! I just recently saw the trailer for Little, and I laughed the whole time! I had to re-watch it a couple of more times. 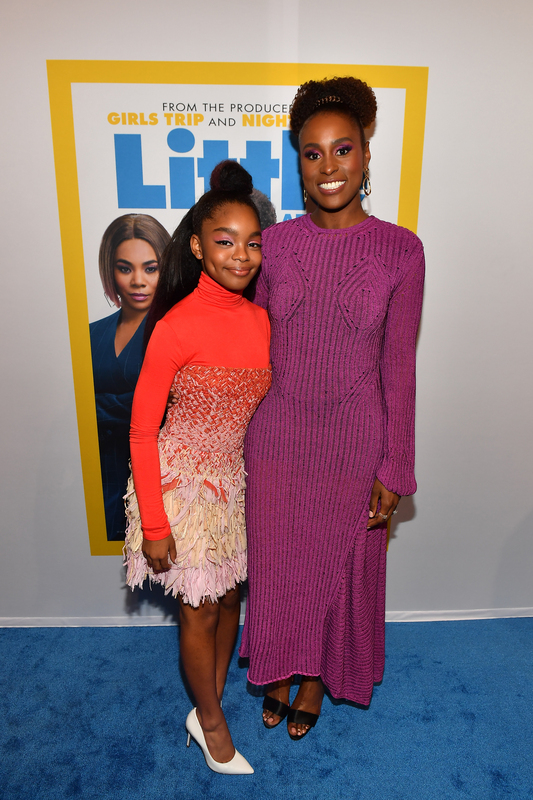 I love Marsai Martin’s twist on the classic movie Big. I love they had a blue carpet for this movie! I keep seeing the previews and would really love to watch this in theaters! I’m looking forward to seeing this one myself. The previews look really funny!! Looks like a fun movie. You must have had a good time. Sounds like an interesting movie, perfect for our family movie nights! Thanks for your movie suggestion. This sounds like a really fun movie to see. 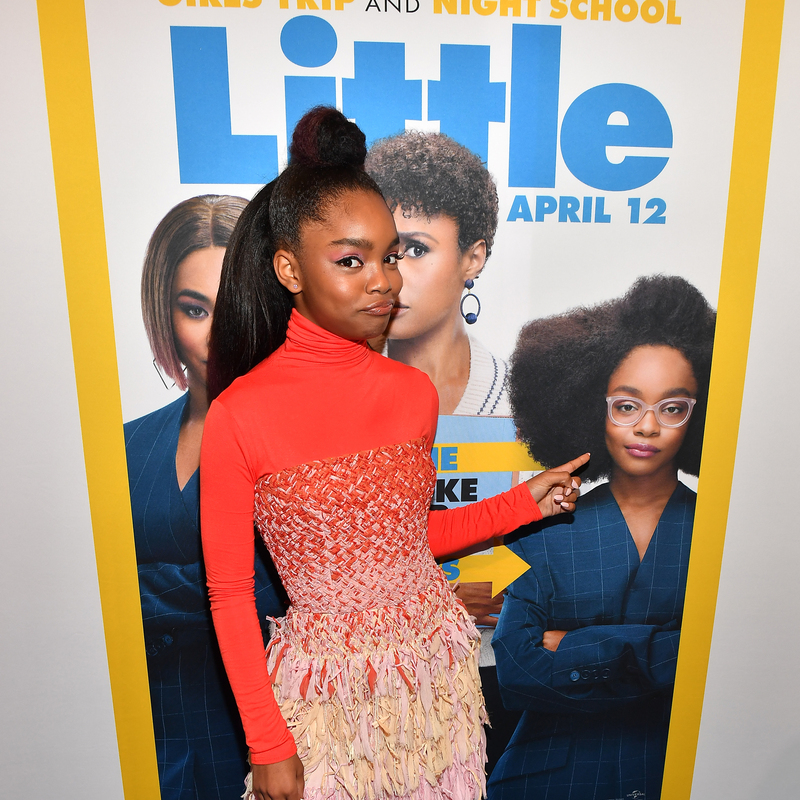 Marsai Martin is amazing! She is an inspiration to the youth to work to achieve their dreams. I am excited to watch this film. I know it is going to be really good! This movie looks interesting! I’ve got to see this. They are amazing! So many movies so little time. You have no idea how funny and appealing this movie is to me and to my oldest daughter as well. She mentioned it to me and showed me the trailer about three weeks ago and we’ve been waiting eagerly for this one to come to theatres. Looks really comical and what a great take on this funny switching bodies topic . 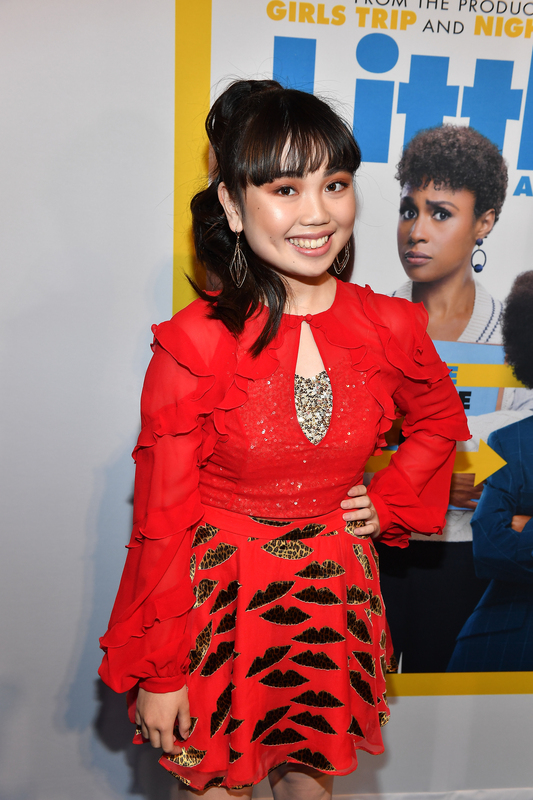 Plus I love this young actress Who plays the little person. She’s so magnetic ! I saw the trailer for this one the other day and it looks like a real riot! I can’t wait to see it with my girls! Love your review! I am looking forward to going to go see Little. I am ready to go see all this #blackgirlmagic. I love how the lead is 14 and a producer. I love Crooklyn and Eve’s Bayou too! The younger actress is really making waves! Good for her! More power to her! This is the first I’m hearing of this! I feel so behind sometimes, glad you have the scoop! I have been so excited about this. I knew Marsai was going to be going places, she’s great! This is amazing, I just heard that this young lady just made history by being the youngest director in hollywood. I cant wait for this movie to premiere in London. Wow, this is so cool! Thanks for sharing all the details! I loved the movie, I’ve seen it twice so far. I wouldn’t let my 7-year-old watch this film though, it isn’t for little children. It is okay to bring my teenager though. I have been seeing the previews for this and it looks like a great movie! It looks like you enjoyed the premier! Ive seen the previews and I def want to go see this movie with my husband. It looks so funny! What a delightful movie. I would definitely see it when I can. I love the fun storyline and the upbeat mood of it all.